Events 11/9 – 11/15: Paint the Dancefloor! Cranksgiving Philly, Manayunk Cocktail Week, The Bourse Food Hall Grand Opening & More! Some of the most interesting things happening in Philly from Thursday, November 9 to Thursday, November 15. Share your event by tweeting us @citywidestories or tagging us on Facebook. Enjoy an evening of cocktails, art, and dancing at Paint the Dancefloor!, a dance party at the Institute of Contemporary Art. XPN’s Robert Drake will be spinning the tunes, and the ICA galleries will be open for public view. This event is a part of Penn’s Homecoming weekend, but is open to Penn alumni and non-alumni alike! Anyone with two wheels and some money and time to spare can participate in this annual food drive scavenger hunt. Race around the city to purchase food from various “checkpoints,” or just bring something to donate. All food collected will be donated to Philabundance, our region’s largest hunger relief organization. All aboard! Next stop is Camden Children’s Garden for the Train Festival! This family friendly event features model trains, train themed crafts, and of course, a train ride around the garden. Your little conductors are sure to have a great time! Don’t be bleu, the Cheese Ball is back! You’re sure to have a gouda time at Philadelphia’s largest cheese party with dancing, whiskey and cheese pairings, and an entire cheese tower provided by Collective Creamery. The best part? You don’t have to fork over a lot of cheddar to participate. This is definitely an event you won’t want to swiss! Philippine American Chamber of Commerce of PA & Southern NJ and the Philadelphia Asian American Film Festival are hosting A Taste of the Philippines at Reading Terminal Market! Sample some delicious food, watch some demos from Chef Yana Gilbuena, see some cultural performances, and more! Some special dishes which will be available for purchase include ube cupcakes, kabobs in Filipino BBQ sauce, lechon kawali with rice, and more! Poi Dog, Sate Kampar, Bao-logy, and Teaspoons & Petals are joining forces and hosting a tea party! Stop by to enjoy desserts from Hawaii, Malaysia and Taiwan, and sip some sparkling tea cocktails and oolong. Stick around a little longer to learn how to play mahjong! Appreciate the craft of the cocktail all week long at participating restaurants and bars in Manayunk! Check the schedule so you don’t miss any of the tastings, dinner pairings, cocktail competitions, or happy hours! Home Brewed Events and Alex Jones of Collective Creamery have partnered to create the perfect pairings of different beers and locally produced cheeses. Whether it’s beer and brie, hops and havarti, or suds and swiss, we’re sure you’ll find the perfect match! Spend a day celebrating Philadelphia at this moment in time. You can expect to hear from a variety of speakers living the “Philadelphia experience” for participants to learn from. This day-long event will have participants thinking about what should be celebrated and what should be revised in our city. 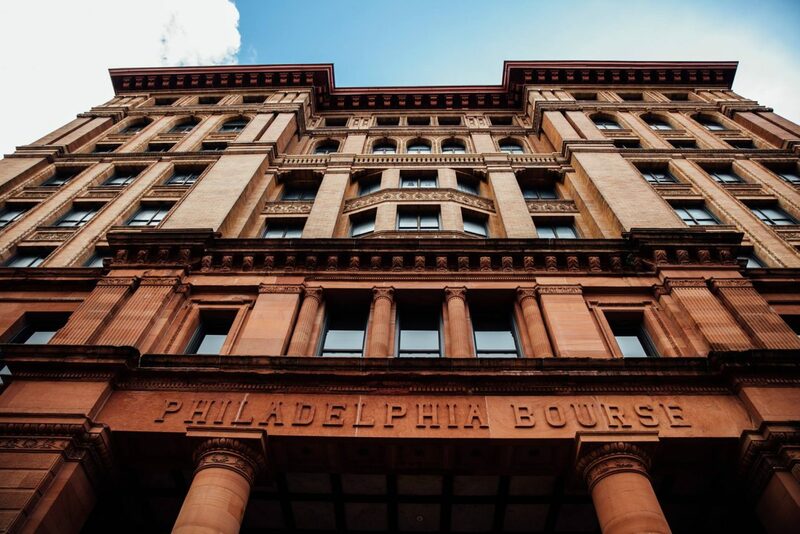 The Bourse got a facelift! Celebrate the grand opening of this newly designed food hall and try some of the delicious new restaurants who vend there. Once the ribbon has been cut, the first 100 people to arrive for breakfast, lunch, or dinner will receive exciting prizes and giveaways. We can’t wait!